Nowadays, more than ever, it seems, the motto of our city is most fitting. Ancient and eternal! And not just the city! Everything in it too – starting with the breathtaking Roman theater. 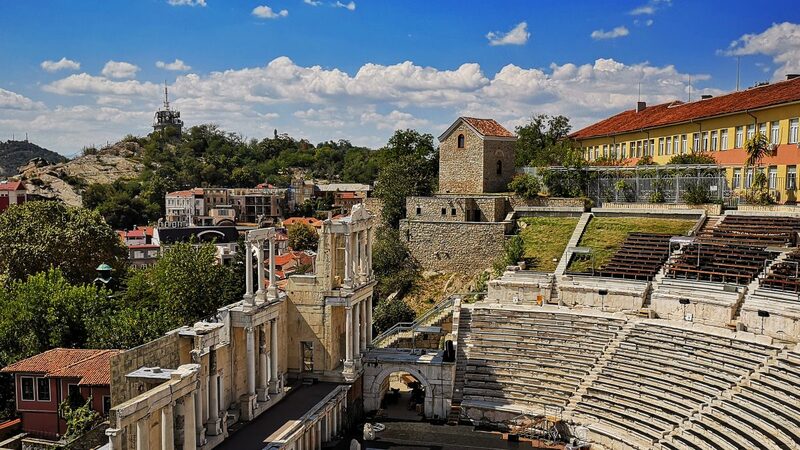 One of the highlights of Plovdiv is our Roman theater. Proudly labeled one of the best preserved Roman theaters in the world – it is a no-miss attraction in the city. It all began two thousand years ago. Fancy nobles and their families, patricians and politicians would gather here to laugh and cry. Theatre was not unknown to the Romans. 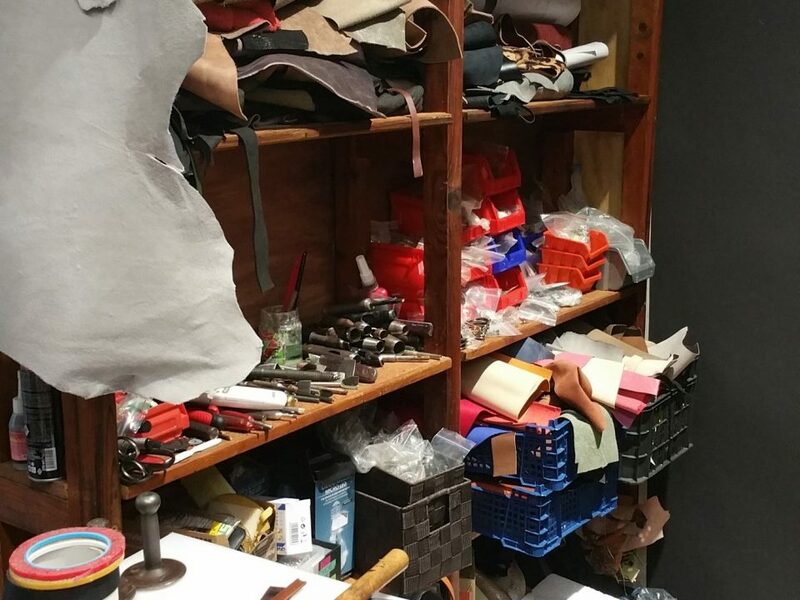 They valued not only its beauty, but also the favorable social atmosphere it created. The theater used to seat up to six thousand spectators and it has stood the test of time during both political clamor and times of prosperity. Even the Roman empire, however, eventually collapsed. And with it – the whole world created by them was in shambles. Someone had to pick up where the Romans left off. 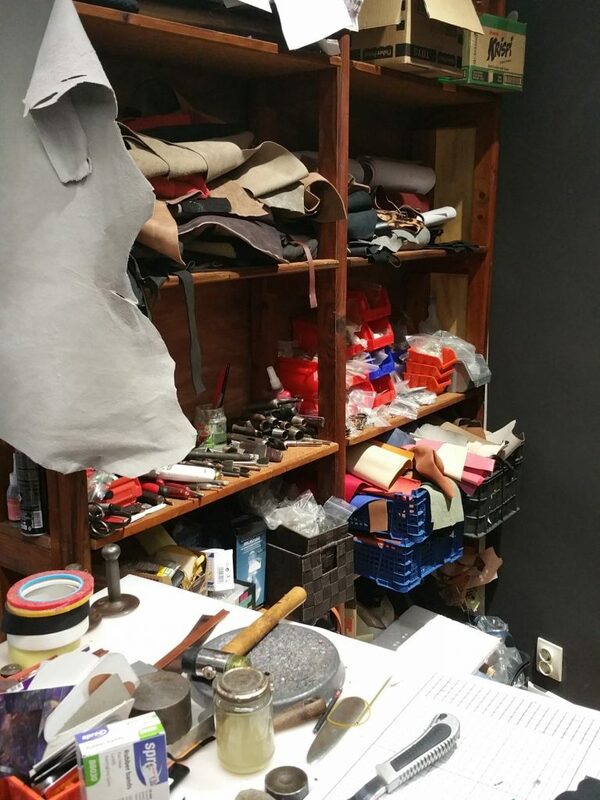 It was not an easy task to rebuild the city and make it useful again. Nonetheless, during the middle ages, it was steadily prospering again, however, much of its roman legacy was lost. According to a popular urban legend, the monument was discovered by a local. Back until the 1970s, people lived all over the place! There were at least ten houses, and a big sports playground. As the story goes, one of the people living there, while digging in his back yard, found parts of the seats. He called the authorities, and that’s how it all began! The year excavations began was 1968. Exactly ten years later, it was opened to the public as a cultural monument. (People were provided with new homes, of course). 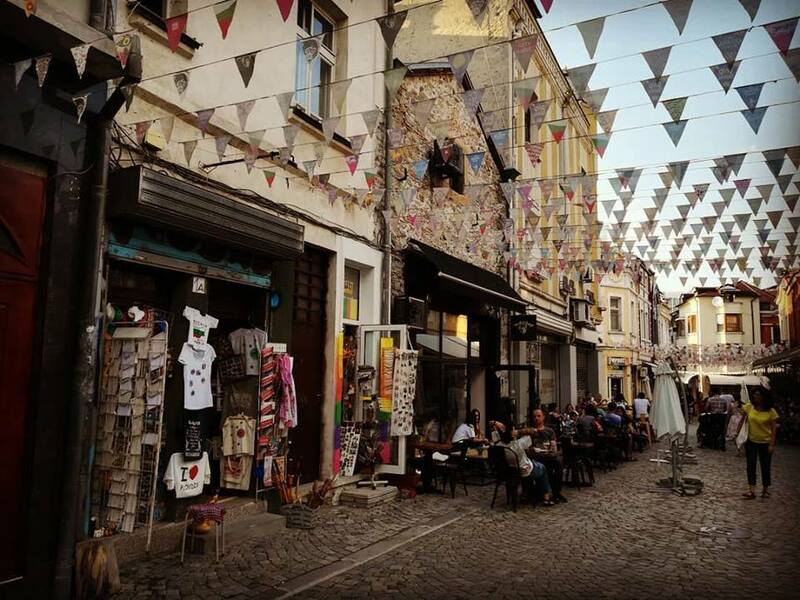 Nowadays, it is a popular destination for visitors seeking both leisure and knowledge of the city’s past, as well as an active venue, where all kinds of performances take place every year. 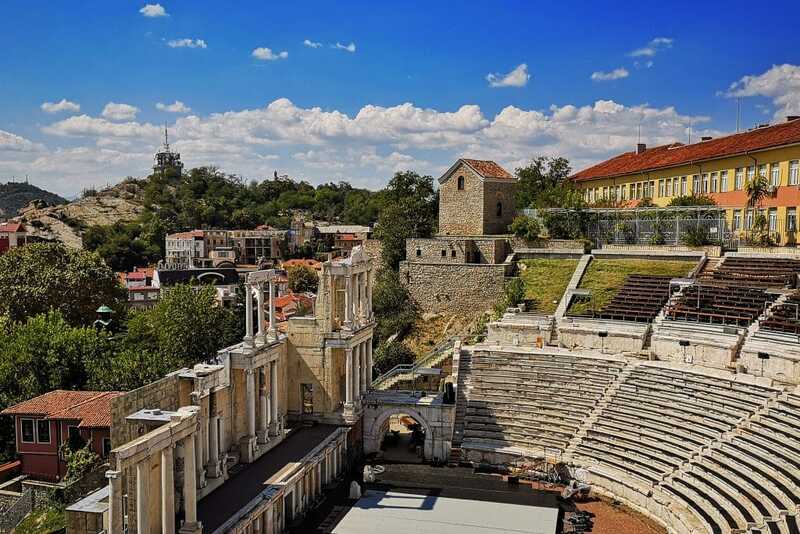 You can visit the Ancient Theater and 8 more sites and museums for free if you have Plovdiv City Card. Otherwise, there is a small entrance fee for going in when there is nothing happening here. But do consider watching a performance in this ancient place – that’s a very unique experience. 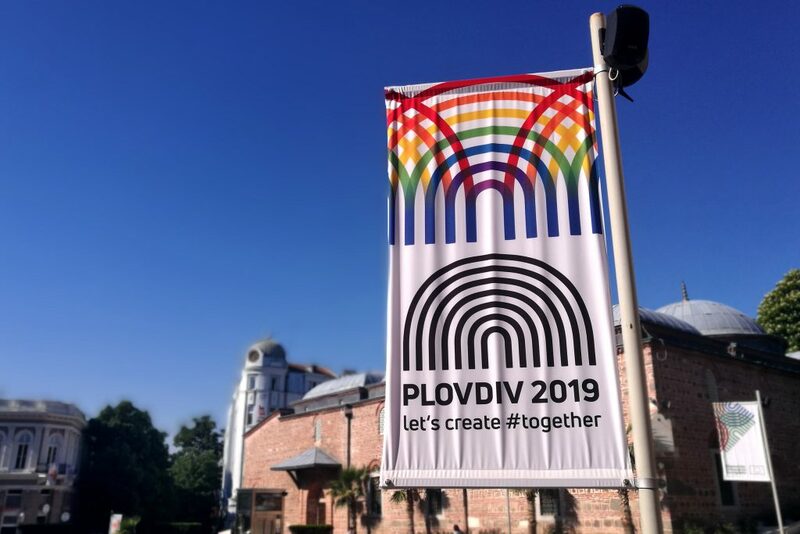 And another reason to visit Plovdiv. 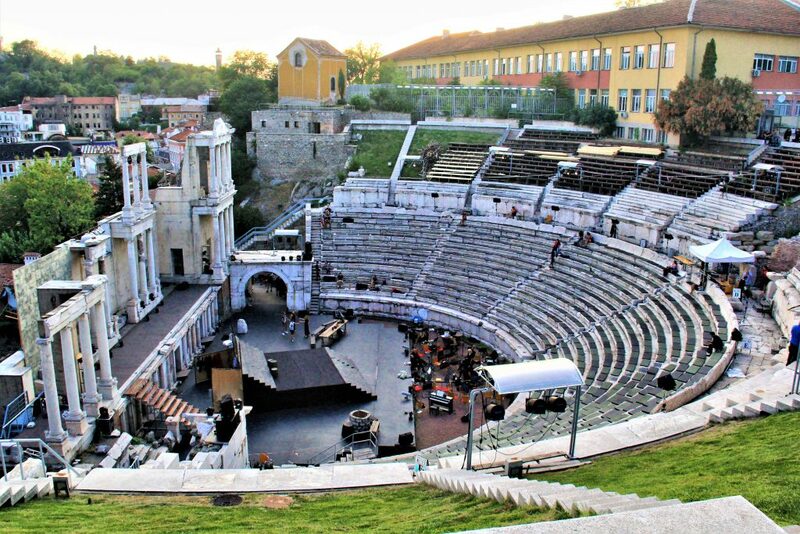 The Roman theatre is also a favourite stop of the Free Plovdiv Tour since it’s a beautiful part of our rich Roman heritage. 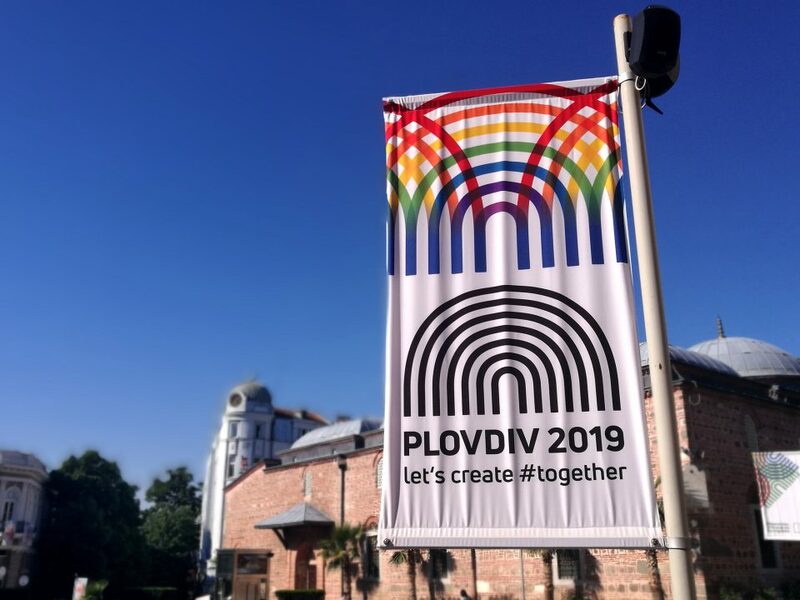 If you’d like to travel back in time to Plovdiv during one of it’s most distant points in time, then this is as close you’ll get!